Call the brand a conglomerate, an empire, a juggernaut, a lifestyle, a reflection of the American fashion spirit but most of all it is an astounding legacy built by a nice Jewish boy from the Bronx who started by selling ties and aspired to lead a lifestyle that he once dreamed of as child. 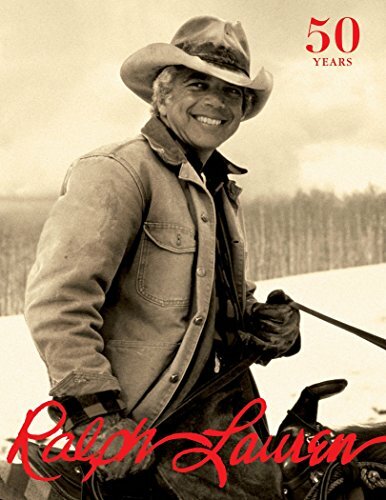 Ralph Lauren is a visual diary, a personal scrapbook of sorts as well as one of the most unpretentious and intimate stories assembled by the author who happens to be the namesake of his eponymous brand. When reading, and yes it must be read for full appreciation, the reader might feel as if Ralph is sitting there speaking to you and just relating the stories of his life. Unquestionably, the book contains an almost overwhelming visual dialogue of the man, his family, and his brand, while never coming across as preachy or boastful. It might be said that if you don’t buy into the world of Ralph Lauren that you might just pass this book by and move on. For this reader, the epic volume and chronology was much more than that as it is also a lesson in brand building and crafting the DNA of a brand. The man stays true to himself in every way possible which means this is an evolutionary tale of a designer and his company. He has literally created an iconography for his namesake brands. It might interest the perspective reader to know that this is not a book filled with images from past collections or with inspirational mood boards, but instead the historical images are quite clearly all about the world of Ralph Lauren, both commercially and privately. The book might be seen as some kind of timeline or history of the man and what he created. The text is simple and without any subterfuge or artifice; in other words, it could not be any easier to read for any reader.